We’ve got a tradition here at TNW Towers. Every year around Christmas, we reach out to a selected cadre of developers and ask them how they see their craft changing in the year ahead. The insights are always fascinating, and this year is no exception. Deep Varma, VP of Engineering at Trulia, a popular real estate search engine, suggests that for many developers, 2019 will be the year when they start to tackle technical debt. All those quick hacks you’ve accumulated over the years has made it harder to maintain and update your application, and consequently, compete. “The tech industry has made rapid advancements in just the past decade. As a result, companies have accumulated tremendous technical debt. At Trulia, for example, we accumulated 13 years of tech debt – a byproduct of our rapid growth. It became clear that we had to significantly modernize our front-end architecture to continue releasing improved products,” Varma explained. One solution touted by Varma is to transition from monolithic application architectures into microservices. “By breaking large projects into autonomous components, developers will be able to work smaller and faster,” he said. “Companies will leverage back-end processing microservices in 2019 to reduce technical debt. However, each team will emphasize different aspects of the microservices – which will require the addition of an architect to drive best practices, share learnings and build on each team’s successes across the organization,” he added. With that in mind, keep an eye on NextJS, Istio, and GraphQL. According to Deep, these are the hot microservices technologies to watch. Al Cook wears many hats. In addition to working as the General Manager of Twilio Flex, he’s also the company’s VP of Product Management and Engineering. This gives him a unique perspective on how the industry is changing, and Cook’s got an interesting prediction for the year ahead. He reckons that 2019 will be all about the application platform, which blends the inherent scalability of the cloud, the ease of deployment of a SaaS platform, and the constant gradual improvement of a web-based application. “With application platforms, developers benefit from the low cost and scalability of the cloud, but are no longer limited by SaaS which cannot be customized for specific business needs. We expect an explosion of new ideas from developers, starting in the contact center industry, who finally have the tools they need to innovate enterprise software,” Cook told TNW. One enduring thread throughout my conversations with developers for this piece is an enduring belief that SaaS products will become more open to third-party developers, who will extend them with their own code. Speaking to TNW, Pusher’s CTO, Paweł Ledwoń, summed up the problem. “Over the last few years, companies have realized the productivity gains brought by software-as-a-service products. Managed solutions can significantly reduce the time to ship new application features and provide cost savings versus systems developed in-house. However, many problems don’t necessarily fit off-the-shelf solutions, so developers still face the difficult choice of either abandoning the feature altogether or building parts of the managed solution on their own,” he said. To Ledwoń, the solution is for more SaaS providers to support “functions-as-a-service” systems. 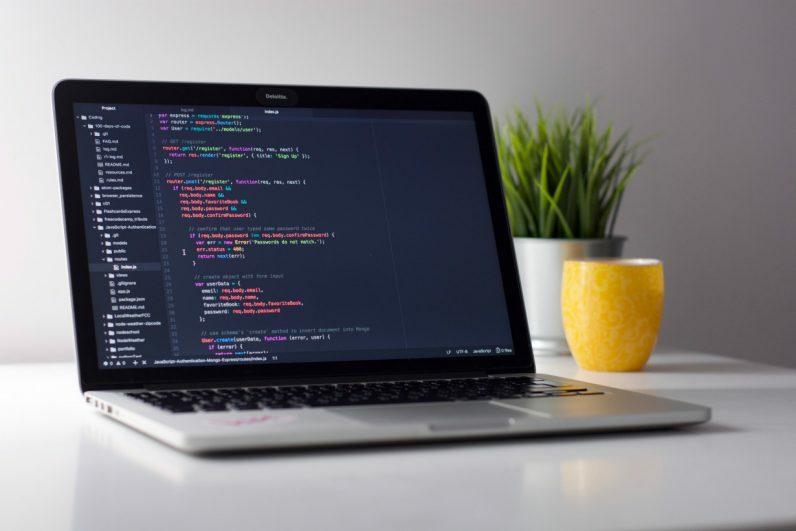 These will allow developers to inject their own bits of code that react to specific events and augment functionality provided by the service. “A common example is performing on-the-fly transformations to messages posted in a chat, such as translation or generating thumbnails for attachments,” he added. Echoing this sentiment is Bear Douglas, Head of Developer Relations at Slack, who pointed out that business software is a $400 billion market which shows no sign of cooling down. While SaaS solutions need to become more extensible, it’s also crucial that developers are motivated to build for them. “For developers this means that, in 2019, they will have to increasingly look at developing integrations and even native apps for such platforms in order to get a slice of this lucrative pie. To cut through the crowded marketplace and be successful in the long term, developers need to focus their efforts on creating applications that simplify processes and provide additional value to users,” Bear said. As organizations scale, IT teams and developers have to contend with a broader userbase, each with their own distinct needs. To prevent shadow IT systems from flourishing, some organizations are looking to low-code and no-code solutions to empower a class of “citizen developers,” notes Salesforce Heroku chief Anne DelSanto. “Forward-looking companies are now turning to low-code tools to empower an IT and tech-savvy line of business leaders to build their own apps, alleviating pressure from the developer teams and empowering businesses to move at lightning-fast speeds,” DelSanto explained. “Now, what we’ll see in 2019 is more IT departments establishing structure around citizen development, ensuring that shadow IT orgs don’t spring up and those citizen developers have the right tools and processes to succeed,” she added. The rise of the citizen developer comes at a time when there’s a chronic shortage of traditionally-trained developers. In 2017, there was only 50,000 computer science graduates in the United States, and an astonishing 500,000 open developer roles. A solution to this is to radically redefine what a developer looks like, and that’s precisely what low-code and no-code tools do. Agree with what’s been said? Disagree entirely? Got your own predictions? Let me know in the comments below, or by reaching out on Twitter. And if you’d like to compare against our previous predictions, click here for our 2018 article, and here for our 2017 predictions.